In the last installment of the ESC 2019 reviews, we discussed the first nine entries in the contest, from Albania, “Ktheju Tokës,” to Cyprus’s “Replay.” In this piece, we’ll dissect the next eight entries in the alphabet. 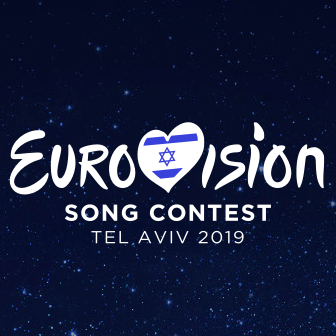 In May, the 64th Eurovision Song Contest (ESC) will be hosted in Tel Aviv, Israel. Forty-one countries have all selected one song to represent them in one of the largest and most viewed music competitions in the world. GHE20GOTH1K's last show reminded everyone what the movement was all about: unrestricted expression. 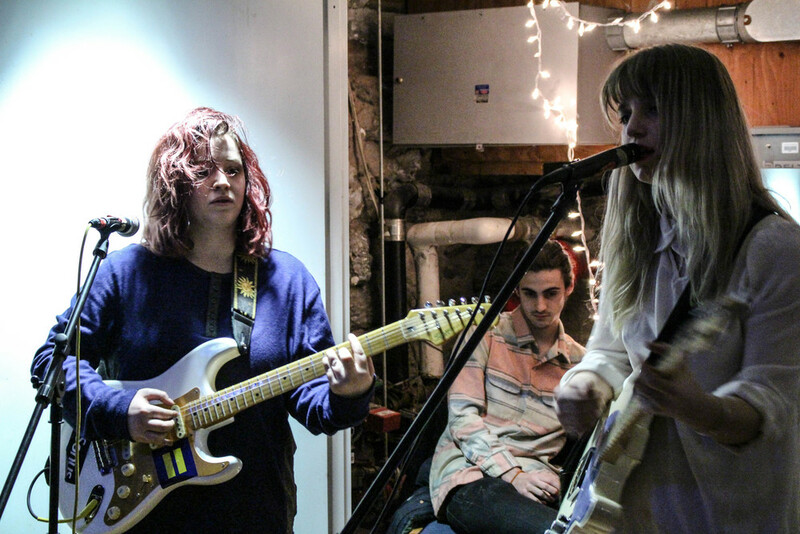 Raw and seductive, SALES' live shows prove they're worth the hype. Ajo calls out to the crowd at her feet. Everyone is up and dancing to reggae hits, compliments of Nola Darling’s house DJ, and we reply enthusiastically. If the first act of the night was anything to go by, we’re all excited for a great night of music from a fantastic lineup. Chicago native Ajo, a talented rapper and singer, greets the crowd with Humbled, a slow burner that combines an infectious beat with Ajo’s soulful vocals and beautifully honest lyrics. “Never be afraid to speak the truth / it comes out in everything you do / so if it’s love, then let em know / if you’re fed up, tell em, then let it go,” she sings. As an artist, Ajo delivers the truth of all the hurt in the world and offers it up to her audience as a sugarpill, something to ease the pain. The ballad goes perfectly with the theme of the most recent Slackgaze zine, as Ajo sings of the pain of taking a risk, letting go of your defenses, and falling either in love or on your face. Through further research (read: stalking) after the concert, I stumbled upon the makings of a smooth new anthem Ajo calls Endeavor. The opening bars set a nostalgic vibe; the percussion in the intro lifts you out of the here-and-now, back into a hazy summer afternoon. In a powerful first verse Ajo lets us in, coming clean about feeling passive and being underestimated: “do you ever feel bigger than your body gives you credit for?” she asks. It’s a sentiment we all can relate to. Whether it’s femininity or youth or even your own self-confidence that’s holding you back, we all seem to wear our imperfections out in the open. Sometimes we are made to feel weak and alone, but this song aims to remind us that we are far from it. With verses that draw from her talent in both singing and rapping, Ajo inspires us to make the most of the time and talents we have by diving in to risk headfirst without regret. 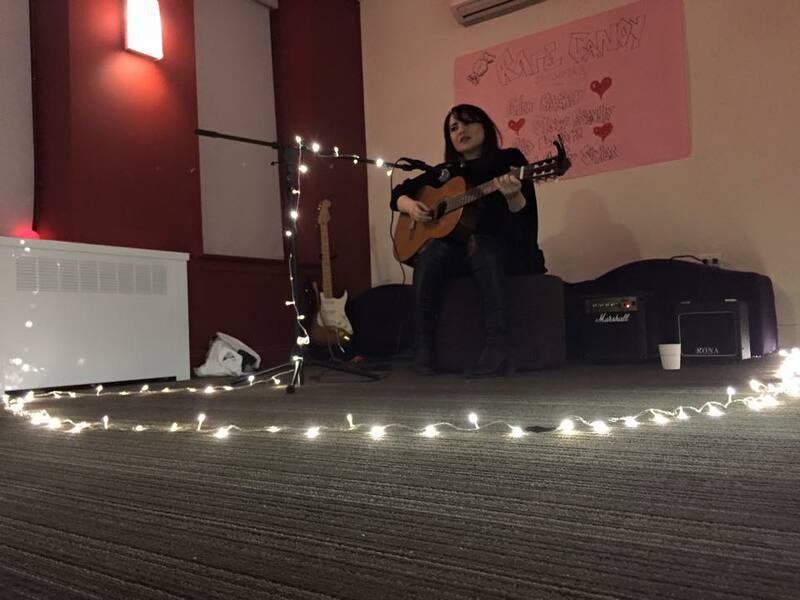 If you want more, find Ajo on Soundcloud or check out her performance at Columbia University later this month! 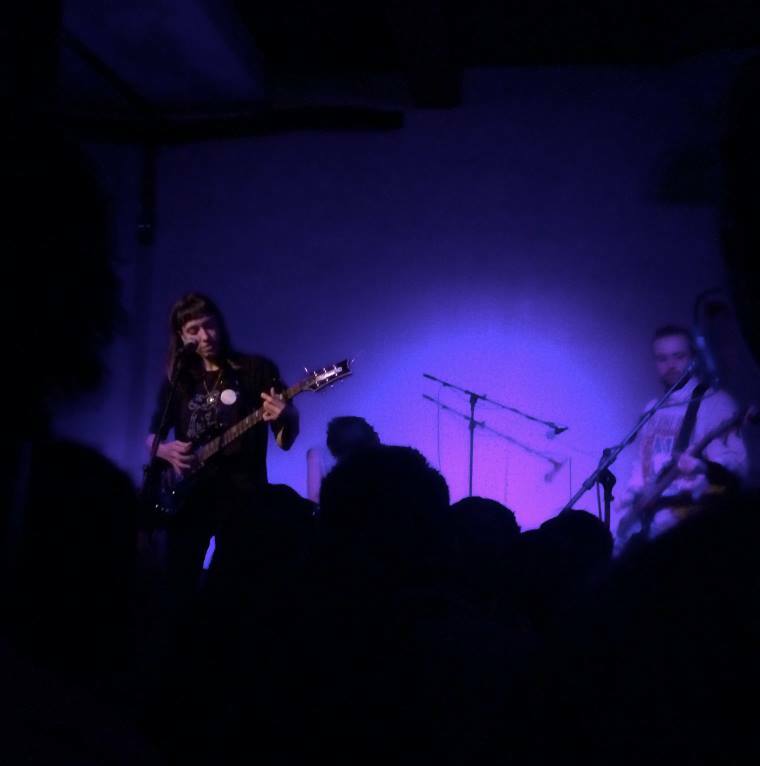 “Cats have nine lives, the Beatles were together for nine years...And this is our ninth show at Glasslands.” Steve Marion, known onstage as Delicate Steve, could not have better captured the sense of fate in the room than he did with this sentence. Glasslands Gallery, a huge part of the Williamsburg music and art scene since 2006, closes at the end of this month, and for most people in the room on December 18th, myself included, this was the last time they were ever going to be there. 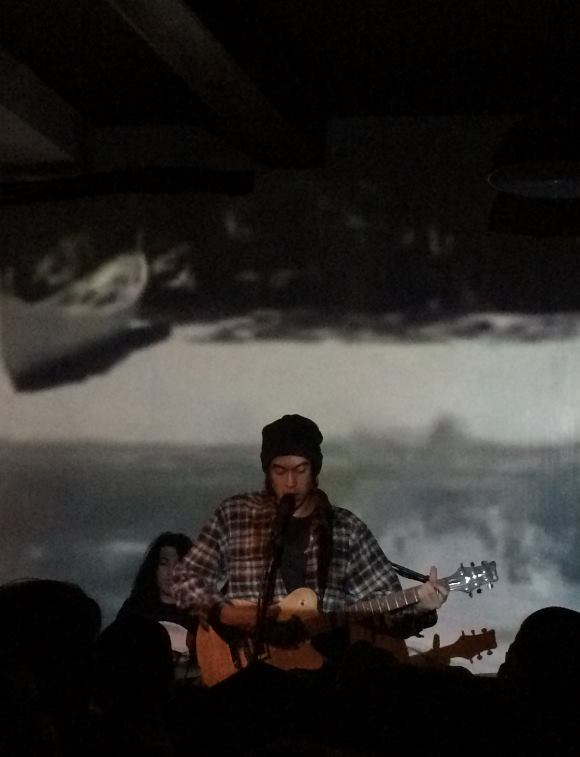 There was a note of solemnity in the air that I have never encountered at a live show before. People paid unwavering attention to the stage, as if afraid to miss even a second of what was going on. I could not help thinking as I approached the bouncer (who was giving the most cursory of glances at IDs – after all, they are probably not too worried about losing their license at this point), or as I ordered a Tequila Mockingbird, that this would be the last time I would ever do this, in this place. Don’t get me wrong, though, this was a fun show. Delicate Steve played an infectious live set, each guitar riff penetrating to the core. My friends and I were humming and whistling “Sugar Splash” for the rest of the night. Jason Bartell, the guitarist of Fang Island, opened the night with a sound similar to Delicate Steve, heavy on instrumentation. His style was a bit more intense and repetitive than Steve, who opts for a more melodic, wavering kind of music. It was almost like falling into a trance. David Byrne has talked about how the architecture of a venue influences the music that fills it. Gothic cathedrals, for example, call for different sounds than an underground rat cellar. Brooklyln Bazaar is a weird venue. It's a Williamsburg playground decked out with a flea market, an arcade, food stands, a mini putt-putt course and a concert hall. It was all a bit overstimulating so when I went to go see Rat King last night, instead of focusing on what Byrne might have to say about the architectural aspect of space, I couldn't help but observe the space between the spectators themselves and how it developed throughout the show. 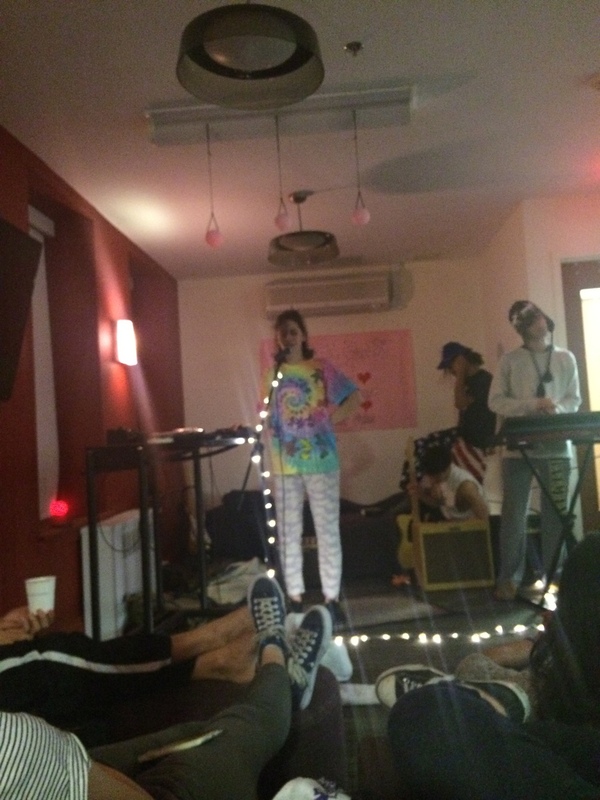 A group called 86 started off the night with some haunted beats over distorted guitar. Deep, dark bass with some warped vocals made for a set that turned the crowd into head nodding, introspective islands. Even when people were getting into it they made room to dance it out. Yung Gutted turned the crowd into one wave, casting a bassy warbly dream net over the venue, but with trap beats and a golden flows of rhymes. Then Show Me The Body came on. Show Me The Body's music is as direct and powerful as their name is. It stares you in the face and commands you with a rhythm that rips you apart. Their energetic frontman Cashwan shreded his distorted banjo while barking over a hard snare and funky bass and the crowd got violent. Great moshing all around. With the space between spectators broken and the violence of the music transferred into heavy shoves and pogoing, Rat King took the stage at around 12:30. The crowd showed their love for a group that seemed at home on a NYC stage. By the end most of the front row had joined the band members on stage and everyone blended into a bouncing, chanting blob. Rat King erased the space between artist and witness, yelled "Rat! ", and ended the show encore-less. A converse store is where you go to get shoes, overpriced clothing, and a reminder that online shopping is always the move. But last month a converse store is where I went to get doused in the funky, rocking, fire-spitting waves of one of Brooklyn's most exciting up and coming groups Phony Ppl. There's always something great about seeing 6 people who are technically very talented at playing their respective instruments jam together. More often than not however, it seems that the truly technically talented specialize in a specific genre and get classified under the umbrella of a jazz band or a metal band or something of the like. The fact that that Phony Ppl music has been described as "vintage astral funk, colorful world music, and dusted-out hip-hop/R&B" should tell you that they're a group that gracefully avoids the genre trap. 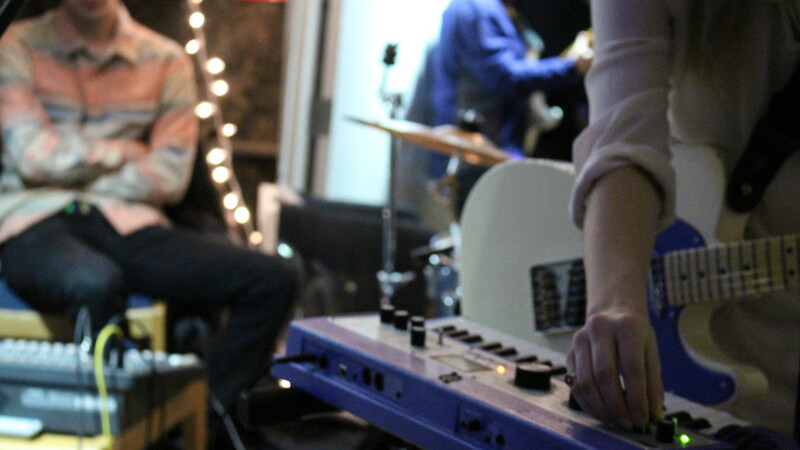 Playing to somewhere around 40 people, the group was capable of evoking the smooth soul of Al Green and the raw energy of Rage Against the Machine in the space of a single song. The sheer uniformity and depth of the group's talent was put on display during a break down near the end of the show, when each member of the band was introduced and given the spotlight. The audience lit up every time a member of the group tour into his solo. At one point I turned around and saw someone actually looking at shoes. "How can you buy shoes AT A TIME LIKE THIS" I thought. That poor person was missing out on a band that's about to explode with the release of their debut album this January. I can’t wait to see what they’ve got in store for us. Based on what they threw down in the converse store for us, it’ll be good.